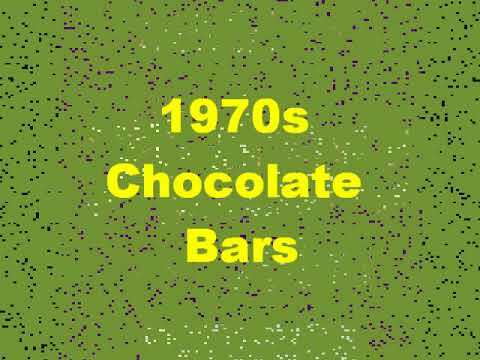 Cabana Bars - Do You Remember? Cabana was a milk chocolate bar in a blue wrapper. Inside you found a delicious coconut filling and chunks of cherry. They were made by Cadbury's I think, and were discontinued in the early 90s. It was totally irresistable! I suppose the closest thing to it these days is a Bounty or the old Cadbury's Coconut Boost - but they're just not the same! Do You Remember Cabana Bars? I used to love them, I remember being horrified when they came out as they were 10p, way more than a Mars or Marathon at the time. Mmmm, yum!! I loved Cabana too. And Aztec, Amazin' Raisin, Fry's Milk/Dark Sandwich. Anyone remember Gaiety by Jamesons (also made Raspberry Ruffles), they were cheaper than Quality Street!!! It was 100 times better than a Bounty! These were lovely. Milk chocolate bar filled with coconut and cherries. Sound disgusting but I loved them when I was a child! Wasn't the telly ad a bird who cracked open a coconut and there was the bar in the middle and she said "Cabana" in a breathy voice? I remember that! Bring back Cabana! Forget Wispa (that's Cadburys bubbles isn't it?) There's nothing with cherries, even the Cadburys Fuse didn't have cherries. I wonder if it's because cherries are expensive (although their latest offering does have apricot). 3 decades and still waiting.. I really do miss the 80s. Was a fantastic decade and I have many memories from that era including secondary school.